CASTING! Seeking one outstanding leading male vocalist who plays guitar OR sax and moves well for performance-only contract in IBIZA! 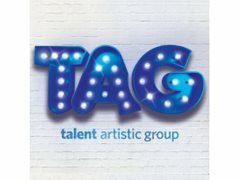 Stunning new production shows at 5* TUI Sensatori Resort Ibiza for Talent Artistic Group. Good rates of pay, flights, accommodation and meals included. Please have CV, headshot and reels on your StarNow profile. You may be requested to send them through to the casting director. You must be 18 or over to work for TUI Sensatori. Heights 5'7 - 6' only. Rehearsals in Luton from Feb 18th. Contract dates in Ibiza until 31st October 2019. Auditions will be through self-tape. Please note that you must be an EU resident or have working visas for EU countries/The UK to apply for this job. Strong Male Tenor with good movement skills and leading man experience.